Charlotte, together with Mark Daniels, Axel Lapp, Addie Wagenknecht participated in the interviews led by Sarah Cook with Karin de Wild to talk about new media art and art historical canonisation. In keeping with the fluid, dynamic and endlessly over-written history of new media art, the conversation was not a roundtable but a round-robin series of interviews, undertaken during one 24-hour period, via Skype, in which each conversation was immediately (live-) transcribed (online) and then read by the following interviewee prior to their interview. 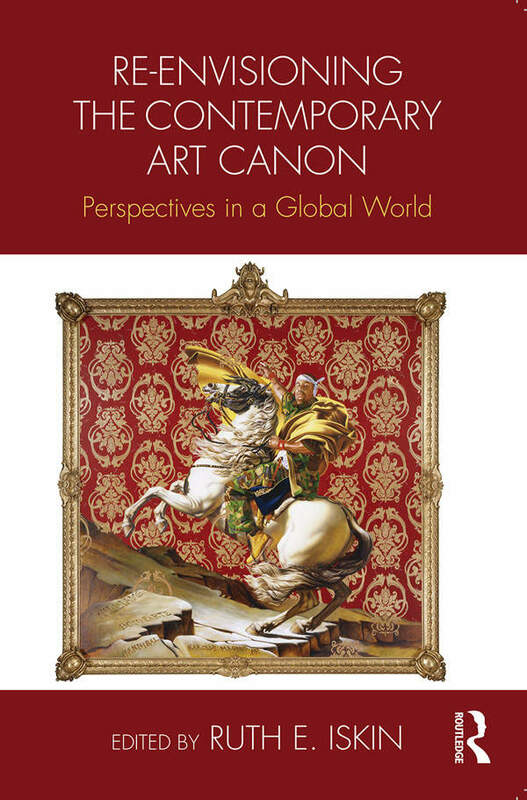 Re-envisioning the Contemporary Art Canon: Perspectives in a Global World seeks to dissect and interrogate the nature of the present-day art field, which has experienced dramatic shifts in the past 50 years. In discussions of the canon of art history, the notion of ‘inclusiveness’, both at the level of rhetoric and as a desired practice is on the rise and gradually replacing talk of ‘exclusion’, which dominated critiques of the canon up until two decades ago. The art field has dramatically, if insufficiently, changed in the half-century since the first protests and critiques of the exclusion of ‘others’ from the art canon. With increased globalization and shifting geopolitics, the art field is expanding beyond its Euro-American focus, as is particularly evident in the large-scale international biennales now held all over the globe. Are canons and counter-canons still relevant? Can they be re-envisioned rather than merely revised? Following an introduction that discusses these issues, thirteen newly commissioned essays present case studies of consecration in the contemporary art field, and three commissioned discussions present diverse positions on issues of the canon and consecration processes today.